Daryl Quitalig - For Shaw Media Prairie Ridge's Katie Cox hits a backhand during the 1 Doubles Fox Valley Conference girls tennis tournament championship match at Hampshire High School on Saturday, Oct. 8, 2016. Jacobs' Kylie Skeonek and Katie Toomire won, 6-2, 6-4. 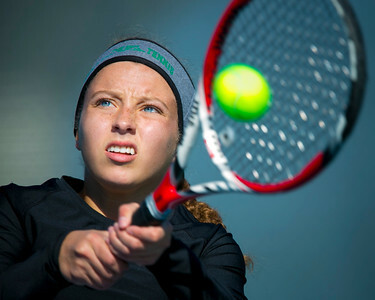 Daryl Quitalig - For Shaw Media Crystal Lake South's Hannah Rakofsky hits a backhand during the 2 Singles Fox Valley Conference girls tennis tournament championship match at Hampshire High School on Saturday, Oct. 8, 2016. Rakofsky defeated Prairie Ridge's Annie Oiu, 6-1, 6-2. Daryl Quitalig - For Shaw Media Jacobs' Kylie Skeonek hits the ball during the 1 Doubles Fox Valley Conference girls tennis tournament championship match at Hampshire High School on Saturday, Oct. 8, 2016. Skeonek and partner Katie Toomire won, 6-2, 6-4. Daryl Quitalig - For Shaw Media Jacobs' Haley Steinkamp expresses frustration after an error during the 1 Singles Fox Valley Conference girls tennis tournament championship match at Hampshire High School on Saturday, Oct. 8, 2016. 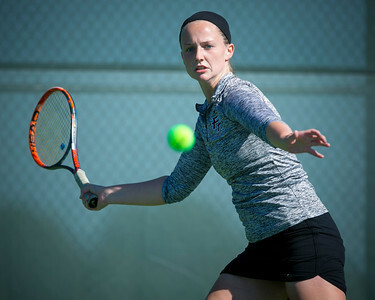 Prairie Ridge's Annie Timm won, 6-3, 6-3. 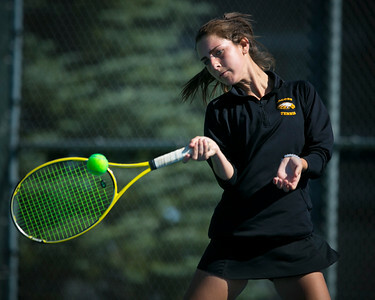 Daryl Quitalig - For Shaw Media Jacobs' Haley Steinkamp hits a forehand during the 1 Singles Fox Valley Conference girls tennis tournament championship match at Hampshire High School on Saturday, Oct. 8, 2016. 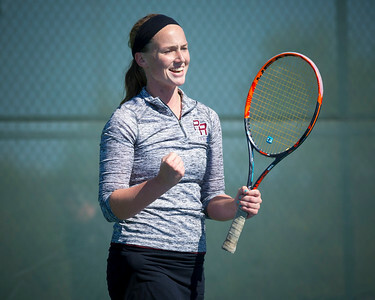 Prairie Ridge's Annie Timm won, 6-3, 6-3. 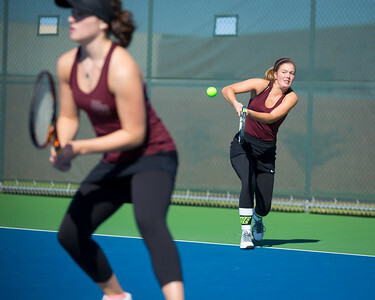 Daryl Quitalig - For Shaw Media Prairie Ridge's Kaitlyn Theil hits a backhand return during the 1 Doubles Fox Valley Conference girls tennis tournament championship match at Hampshire High School on Saturday, Oct. 8, 2016. Jacobs' Kylie Skeonek and Katie Toomire won, 6-2, 6-4. 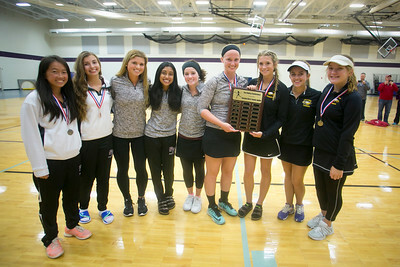 Daryl Quitalig - For Shaw Media Prairie Ridge's Annie Timm (left) and Jacobs' Katie Toomire pose with teammates while holding the championship plaque after tying for first place in team points at Fox Valley Conference girls tennis tournament at Hampshire High School on Saturday, Oct. 8, 2016. 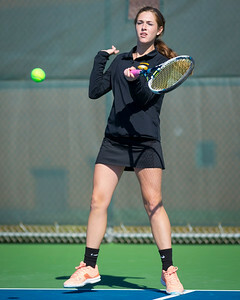 Daryl Quitalig - For Shaw Media Prairie Ridge's Annie Timm eyes the ball during the 1 Singles Fox Valley Conference girls tennis championship match at Hampshire High School on Saturday, Oct. 8, 2016. Timm defeated Jacobs' Haley Steinkamp, 6-3, 6-3. Daryl Quitalig - For Shaw Media Prairie Ridge's Annie Timm pumps her fist in celebrating winning the 1 Singles Fox Valley Conference girls tennis tournament championship match at Hampshire High School on Saturday, Oct. 8, 2016. Timm defeated Jacobs' Haley Steinkamp, 6-3, 6-3. Jacobs' Haley Steinkamp expresses frustration after an error during the 1 Singles Fox Valley Conference girls tennis tournament championship match at Hampshire High School on Saturday, Oct. 8, 2016. 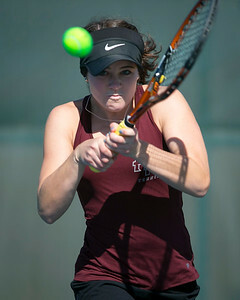 Prairie Ridge's Annie Timm won, 6-3, 6-3.